All applications are vulnerable to Spectre attacks. Unfortunately this also includes applications written in Delphi. Does this mean Delphi developers have been on high alert the past few weeks? Well, it all depends. If you’re creating software for a high-risk business with a large user base and public deployment, then probably yes. But in most cases it’s a no. As you may already know, its sibling called Meltdown (Rogue data cache load, CVE-2017-5754), can be completely fixed with updates. Most of these are already available, so update your computers. Use some care though, some of these patches have been reported to cause reboots and blue screens on specific CPU versions from both Intel and for AMD as reported by Microsoft. However, Spectre attacks can not really be mitigated with microcode updates or operating system updates alone. That’s because it attacks at the way that most CPU’s optimize code execution, which is not something you can simply turn off. The simplest CPU’s are the only ones that are not affected, as you can read in this rather easy to read article on RaspberryPI. The Spectre attack requires the hacker to construct a specific attack for each specific piece of software. Setting this up takes some work as you need to trick the existing application to leak its information via a side channel attack through repeated iterations of having it call into specific instructions. In other words, suppose a vulnerable instruction sequence would be triggered by a click on a specific “button”; the hacker would have to write some code that would keep clicking this “button” while data is leaked from the applications protected memory locations. This means the hacker would have to analyze the application beforehand and write an exploit specifically for this application, and somehow persuade the end-user to run this exploit side by side with the vulnerable application. This takes some serious effort. In fact, if you can already get such an exploit to run in the same user space, there are many more ways of attack that are far easier to perform. 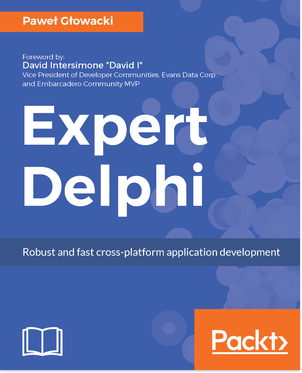 This means that a Delphi (or any other) application with a small user base, say below 10.000 users and/or those without public deployment (not in any app store) have a relatively low risk of being attacked. It’s still possible though, just not very likely. This looks OK, the LFENCE is placed at the same location as in the Microsoft example, so you could modify your existing sources with this code. Still, it’s probably better if adding these LFENCE instructions were handled by the compiler. 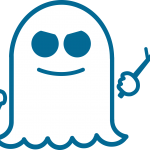 Google has proposed a solution on a compiler level to prevent the branch-target-injection variant of Spectre (CVE-2017-5715) using retpoline. Open source versions of the code have already been submitted to LLVM and GCC. However, there is no easy way to modify your Delphi code to introduce this solution. The indirect branch that is vulnerable is generated by the compiler, for instance when you write polymorphic code that calls a overridden virtual method of a subclass such as described in Google’s example. For the Delphi developer that’s just one line of code, with no easy way to add this new calling construction. This one needs to be handled by the compiler and for LLVM and GCC this change is being evaluated. If this all works out that means we will have an option to mitigate these two variations of Spectre attacks on existing applications by just recompiling that application. These solutions could become part of all compilers out there, including all of the Delphi tool chains, LLVM-based or not. My preference would be to add this as a Compiler Option similar to the one we had for the Pentium FDIV bug. Because just like the FDIV bug, Spectre will also disappear with newer CPU’s that handle things a little differently, and then you can choose to disable that option again. If you’re into a challenge and want to know more on the details of Meltdown and Spectre I suggest reading the original posting on Googles Project Zero page.